Administrator Seema Verma said changes to the program eliminate 25 measures and ultimately save hospitals over 2 million hours of work. 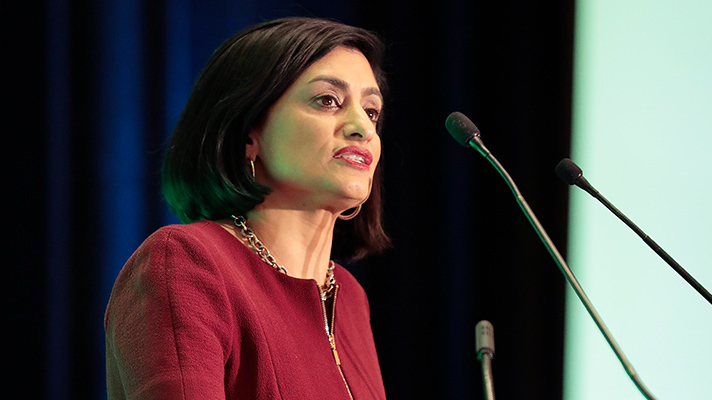 Centers for Medicare and Medicaid Services Administrator Seema Verma on Tuesday announced changes to overhaul the meaningful use EHR incentive program, including equipping patients with access to their electronic health records on the day they leave the hospital. The proposed rules and request for comment are a follow up to Verma’s March announcement during HIMSS18 in Las Vegas for better interoperability between providers and for patients. Starting in 2019, hospitals are required to have a patient’s electronic health records available on the day they leave the hospital. The proposed rule also reiterates the requirement for providers to use the 2015 edition of certified electronic health record technology in 2019 as part of demonstrating meaningful use to qualify for incentive payments and to avoid reductions to Medicare payments. Under Promoting Interoperability, updates to EHR and related technology includes the use of application programming interfaces, or APIs for patients to collect their health information from multiple providers, and to potentially incorporate all of their data into a single portal, application, program, or other software. Hospitals can also share data in an API format to develop apps and interfaces. CMS is proposing for the inpatient prospective payment system and the long-term care hospital prospective payment system to remove unnecessary, redundant, and process-driven measures from a number of quality reporting and pay-for-performance programs. It would eliminate a significant number of criteria acute care hospitals are currently required to report and it would remove duplicative measures across the five-hospital quality and value-based purchasing programs. This would result in the removal of a total of 19 measures from the programs and would “de-duplicate” another 21 measures. EHRs are worth 40 percent of their score, as the highest rated, must-pass measure, Verma said. This results in the elimination of 25 total measures across the five programs, saving hospitals over 2 million hours of work and $75 million. CMS is also proposing patients to have better access to hospital price information. The proposed rule would require hospitals to post their standard list of prices on the internet and in a machine-readable format, rather than just being required to make them available in some form. While hospitals are already required under guidelines developed by CMS to either make publicly available a list of their standard charges, or their policies for allowing the public to view a list of those charges upon request, CMS is updating its guidelines to specifically require that hospitals post this information. The agency is also seeking comment on what price transparency information stakeholders would find most useful and how best to help hospitals create patient-friendly interfaces to make it easier for consumers to access relevant healthcare data. CMS is requesting stakeholder feedback through a request for information on revising conditions of participation to revive interoperability as a way to increase electronic sharing of data by hospitals. “This payment proposal takes important steps toward a Medicare system that puts patients in charge of their care and allows them to receive the quality and price information needed to drive competition and increase value,” Health and Human Services Secretary Alex Azar said. The Tuesday announcement follows Monday’s announcement about other steps including a new request for information on direct provider contracting. With a May 25, 2018 deadline, CMS is also seeking input on the direct provider contracting between payers and primary care or multi-specialty groups for a potential test of a direct provider contracting within Medicare, Medicare Advantage and Medicaid.